Astral Weeks wowed the critics, but it was this upbeat album that captured the public's attention and made Van a high charting man. 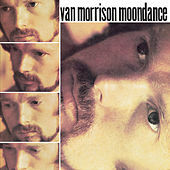 It features the perennial radio hit "Moon Dance," but every song on the album, from "And It Stoned Me" to "Glad Tidings," rank among Van's best. A jazz, folk and soul-strewn celebration of life's gifts, this is perfect "feel good" music that doesn't insult your intelligence.